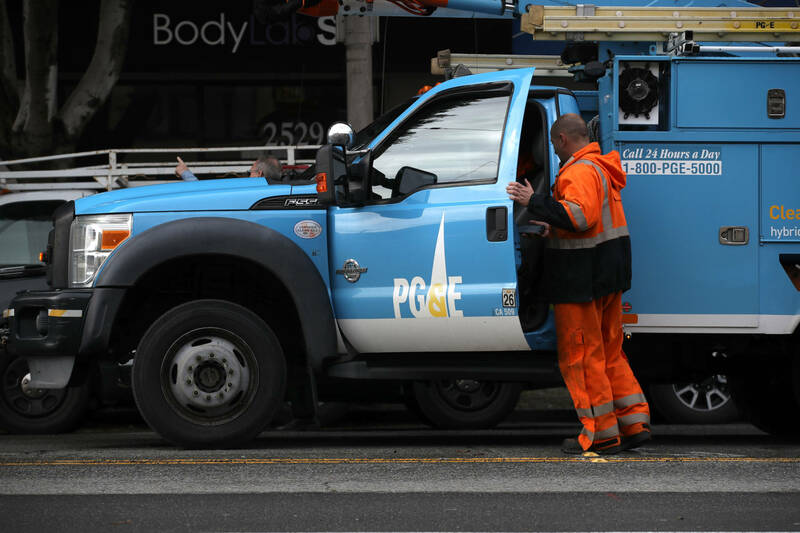 A bankruptcy judge approved a slew of interim motions Thursday that will allow PG&E to continue operating normally as its bankruptcy protection case proceeds, including allowing the company to secure emergency financing and to keep paying its employees. But the utility's lawyer, Stephen Karotkin, did not yet ask U.S. Bankruptcy Judge Dennis Montali to approve some $130 million in employee bonuses to 14,000 employees -- and said even when PG&E brings those bonuses before the court, they will not include compensation for executives or other high-level company leaders. "The employees, and there are 24,000 of them, make this operation run and it's important that we pay them their compensation," Karotkin told Montali. "We are not asking for any authority to pay severance to insiders." Those 38 insiders -- or executives -- include former PG&E CEO Geisha Williams, who resigned Jan. 13, shortly before the utility announced it would file for bankruptcy. She was awarded $2.5 million upon her departure, but the money has apparently not been paid to her yet. Thursday was PG&E's first substantive hearing since the utility filed for bankruptcy protection early Tuesday. The utility, California's largest, argues that it is facing such massive liabilities from fires it started in recent years that it can no longer secure the financing it needs to continue service to its 16 million customers. The filing has angered many of those wildfire victims and ratepayers, who worry that the bankruptcy proceedings will make it harder for victims to get compensation and drive up customer rates. But Karotkin, one of PG&E's lawyers, said Thursday that the Chapter 11 filing is actually good for wildfire survivors. "I want to emphasize that this is not a strategic ploy to avoid PG&E responsibility for the devastating damage and loss of life sustained in the 2017 and 2018 fires," he said. 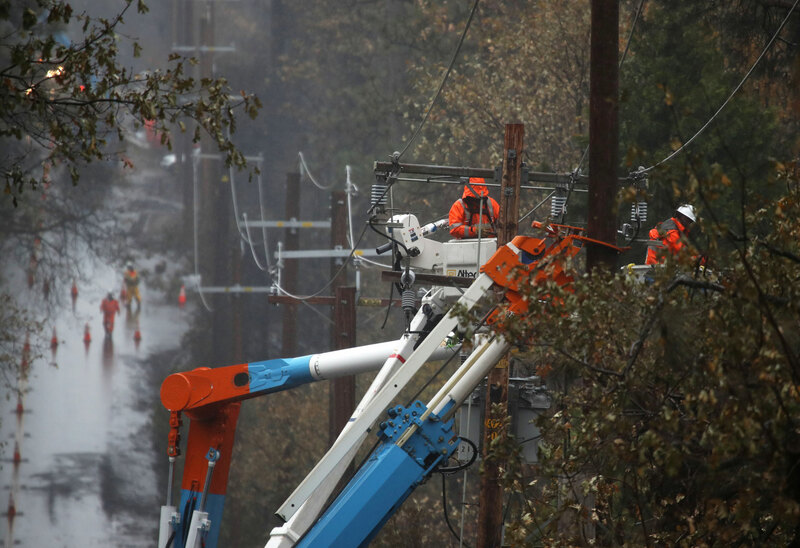 "PG&E believes the Chapter 11 case will restore financial stability and ... let claimants get relief faster than if they went through state court." But lawyers for thousands of wildfire victims were on hand Thursday, and told Montali that they want to make sure those survivors are first in line for whatever money the court can pay out -- ahead of stockholders and other creditors. Khaldoun Baghdadi, for example, told the judge that many clients who lost their homes in 2017 will run out of insurance relocation money after two years. "That means in October of this year, these people will have a hard time finding a place to live," he said. And attorney Amanda Riddle, who is representing more than 1,500 wildfire victims, said she is still worried that PG&E will short-shrift fire victims. She noted that PG&E started the 2015 Butte Fire in Calaveras and Amador counties, and already settled with dozens of residents there — but stopped making those payments last week, before the bankruptcy filing. "PG&E decided to default (on those settlements)," she said, noting that 22 of them are her clients — and two are children. "When they talk about being expeditious, I think it's purposeful that they leave out the victims who have been waiting for 3½ years." But outside court, Riddle did praise the company for not trying to give their executives bonuses. "I think that was a good move on PGE’s part to make clear that executives, officers including Geisha Williams, including past employees, were not included," Riddle said. "We appreciate the lower-level employees, the boots on the ground, are continuing their role, and our beef has always been with the executives, the upper management, that puts in place procedures and processes and a culture of profits over safety. And that’s what causes these disasters." Editor's note: This story has been updated to reflect that PG&E was responsible for the 2015 Butte Fire in Calaveras and Amador counties, not a 2015 fire in Butte County.